If you would prefer not to use a MyHS account, HomeSeer Mobile allows users to connect via a local IP or WAN IP address. Enter the IP address being used by your HS3 system. If HS3 is on a port other than the default of 80, you will have to enter that in the designated field. If you have HS3 set up to use an SSL connection, you will want to check the HTTPS check box. Finally, enter the user name and password of a user account found in Tools > Setup, under the Network tab. More information about this can be found here. 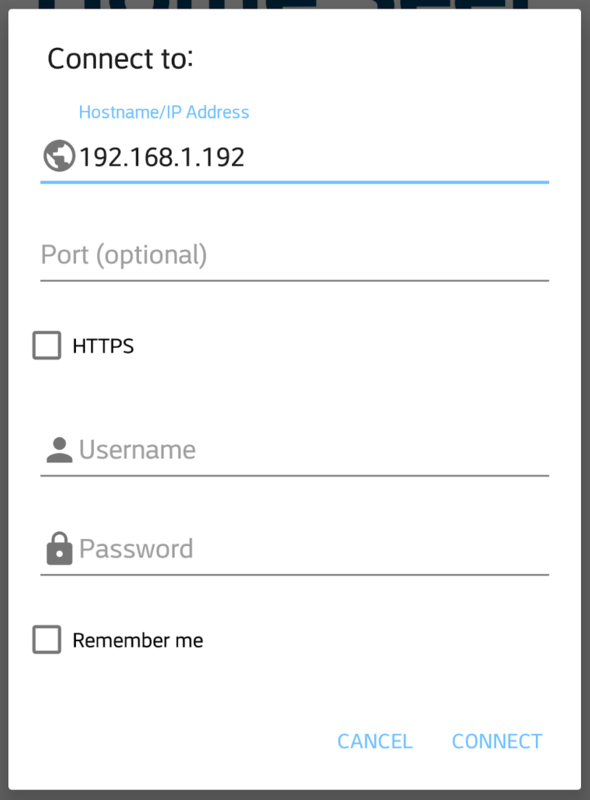 Use the Remember Me option to bypass the MyHS login and connect to this IP address automatically when opening the app. On the login screen, select Connect by IP/Hostname in the upper right corner. You will see a Hostname/IP login dialog appear. Enter the domain name or IP address of the system you wish to connect to. If you have HS3 set up to use an SSL connection, you will want to check the HTTPS check box.